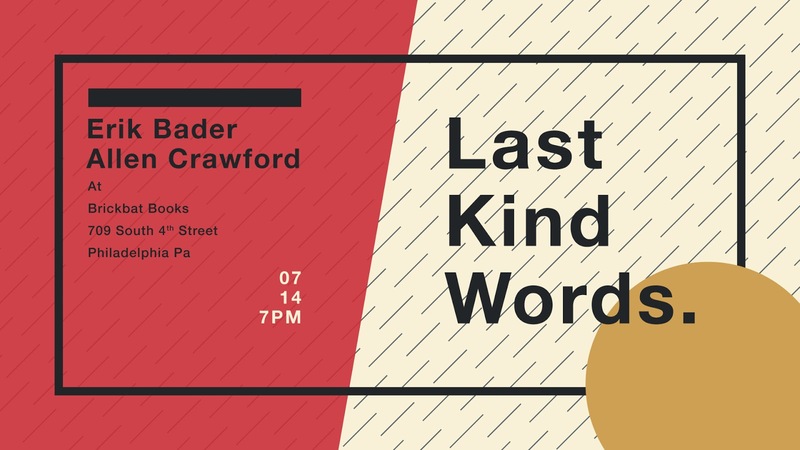 Reading with Erik Bader at Brickbat Books. 709 S. 4th, Philly. Friday, July 14, 7PM. Erik will be reading the final chapter of his recently-completed novel. I will be reading selections from a work-in-progress tentatively named The Chrysalis Bells. This entry was posted in Events on June 28, 2017 by Allen Crawford.